During our Oman trip we did a desert crossing, staying one night in the desert. The night was quite exciting. 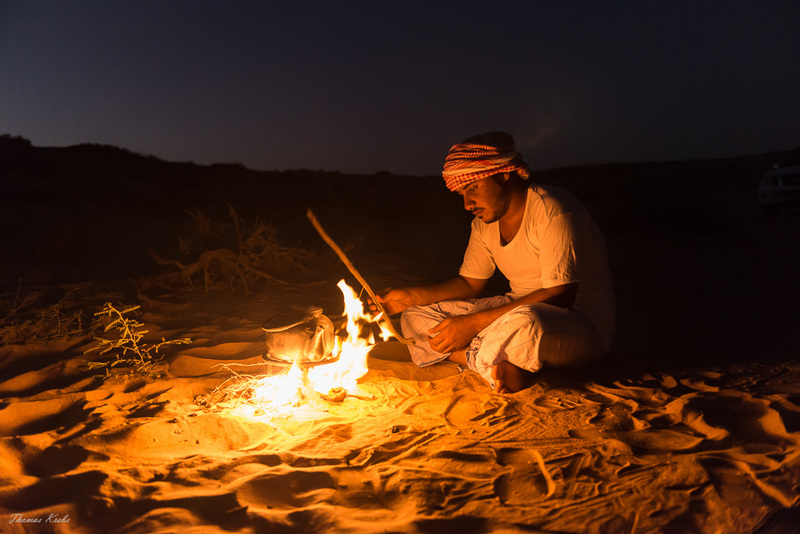 We put our tent near a dune and our two guides prepared tea and a traditional beduin dinner. Here our guide Ali was preparing tea just before he was stung by a scorpion. this is the atmosphere (and the mood) i like best. Makes me think about adventure in the real wild. very nice work Tom .